Moving your refrigerator to a new location? 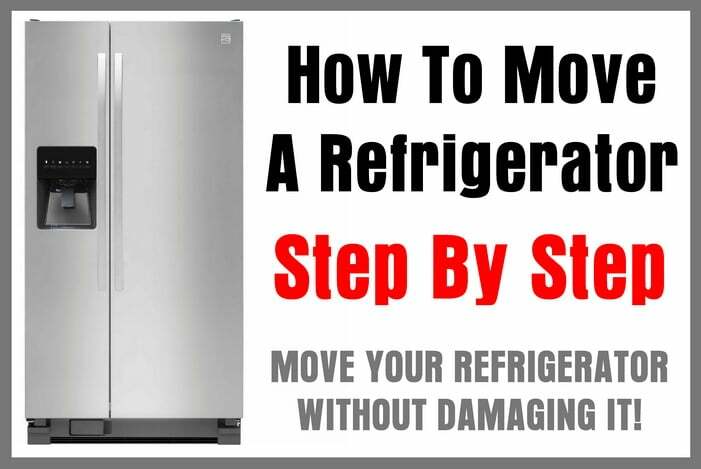 Here is how to properly move your refrigerator without damaging it. When you are moving your refrigerator to a new location simply follow the step-by-step and tips below to prepare your refrigerator for moving or transporting. If your fridge has an ice maker, turn off the water supply to ice maker 24 hours before the fridge is to be transported. 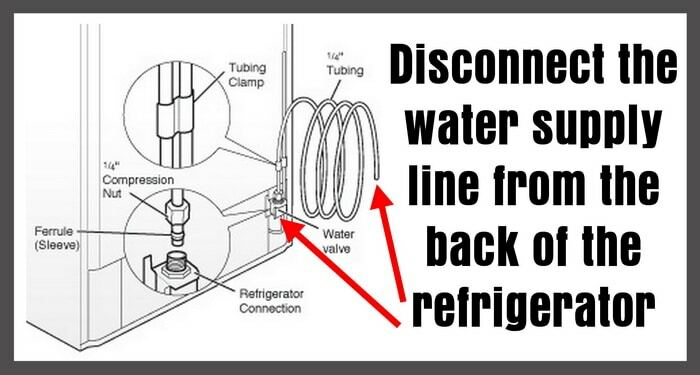 – Disconnect the water supply line from the back of the refrigerator. – Once the last batch of ice drops into the ice bin, press the ICE ON OFF switch to OFF or raise the wire shutoff arm to the OFF (up) position. Remove all food and drinks from the refrigerator. Put the food in another refrigerator or pack all food in coolers or dry ice. Completely remove all ice from the ice bin. Turn off the Temperature controls on the temp setting panel. If you cannot turn off, turn to lowest (warmest) setting. Pull refrigerator out from the wall and unplug the refrigerator. Clean out anything else in the fridge. Use a damp cloth and wipe down thoroughly. Then use another cloth and dry thoroughly. Take out any removable parts it the refrigerator. To protect the parts, wrap and tape the parts together so they move around and damage the interior of the refrigerator. Raise the refrigerator so it can roll easily OR raise the leveling legs so they do not scratch and damage the floor. Use rope or tape to keep the refrigerator doors closed. Use rope or tape and attach the cord onto the back of the fridge. When the refrigerator is moved or transported, be sure it it standing upright. If the refrigerator is laid on it’s side, the compressor oils may move into the lines and cause issues with the refrigerator not cooling. Once the refrigerator gets to it’s final location, put all parts back into place and put the fridge legs back into place to level the refrigerator. Reconnect the water supply to the refrigerator so the ice maker and water dispenser has water. Plug the refrigerator back in and wait 24 hours for it to begin fully cooling to the proper temperature again. Once the fridge and freezer are back to the proper temp, put all food, drinks, and frozen foods back into the refrigerator. Be sure the refrigerator maintains the proper temperature to be sure there was nothing damaged or reset while moving the refrigerator. If you have questions about moving a refrigerator, a refrigerator that does not work after moving, please leave your question below and we will be happy to assist.